Membership of the branch is just £10 per year, and is a great way to help support the work we do. 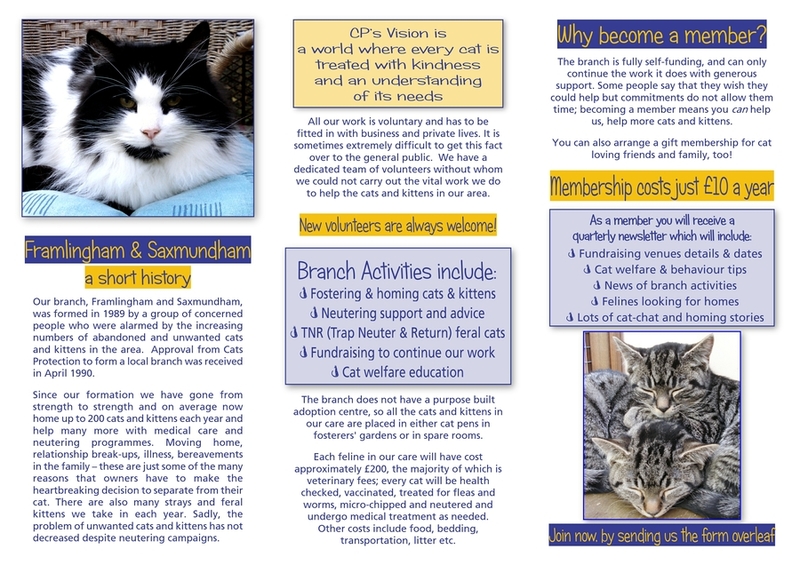 As a member of the Framlingham and Saxmundham branch you will receive our newsletter four times a year; giving you all our news, information about cats in our care, events, cat-chat and advice. If you would like to apply for membership, please click here to download the Membership Application form. 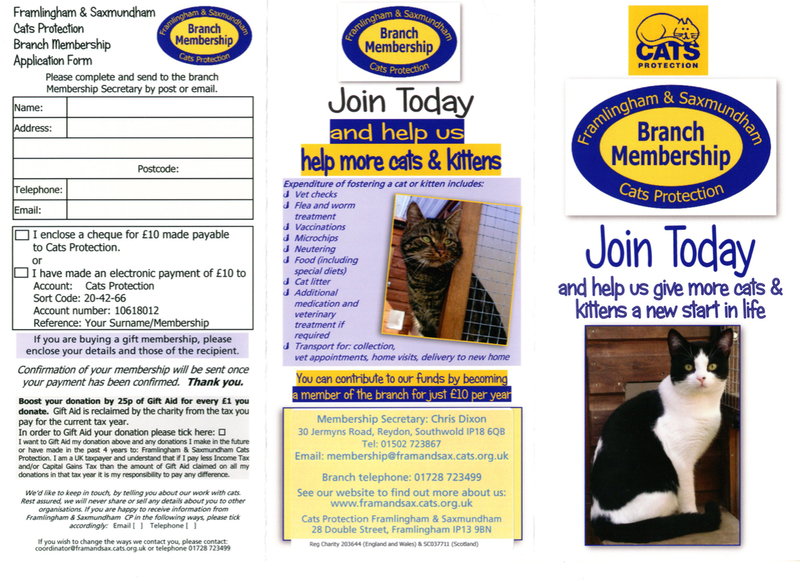 You could also solve your gift giving problems by buying a gift membership for your cat loving friends and family!